Brian Isiko, a student at YMCA branch in Jinja 25 years old was on Thursday convicted and sentenced to 2years in prison, this happened when Brian pleaded guilty to charges of “cyber harassment and offensive communication.” Sylvia Rwobwoogo, the kabalore woman Member of Parliament testified in a case in which she accused Brian Isiko of tormenting her life with love texts and phone calls. She told the court (Buganda Road Chief Magistrates Court) that she started receiving texts and phone calls from Brian in 2017,that she even thought someone was about to harm her. Daily monitor reported that the MP said she never returned or texted back since she suspected the too many lovey dovey texts was a trap. The MP believes that Brain Isiko was being used by people who wanted to kill her. On Sunday ,the MP posted on her Facebook page saying “Before you go on judging me and scolding me, I want to let you know that there’s more than meets the eye in all this saga that has turned out to be a national issue. What most of you regard as mere love messages should know that this was not just love messages. This boy was being used by some selfish individual in a mission to lure me with love and kill me,” she posted. “I endured fear and suffering due to those who sent Brian to trap me and kill me” the MP said. 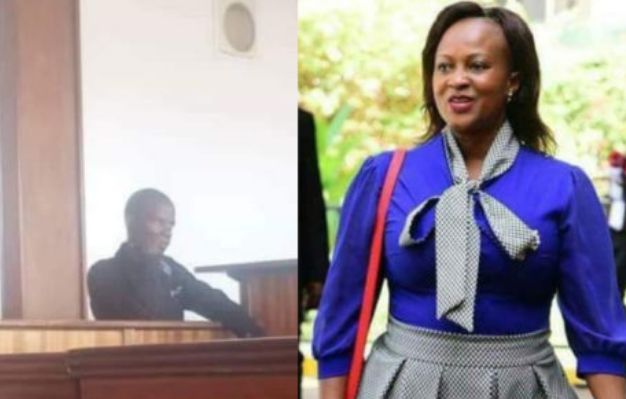 Brain Isiko on Thursday confessed that he was in much love with Sylvia Rwobwoongo the MP and he was handed a 2year prison sentence in Luzira. “Everything she said is correct. But I wanted her to become a personal friend. I ask for forgiveness. I also wanted her to give me ideas on how to run my poultry project. I didn’t have any bad intensions. In fact, that is why I agreed to meet her so that we could talk,” brain said. 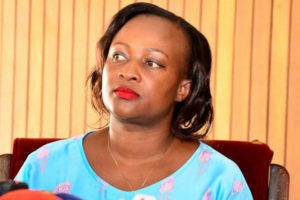 The MP Sylvia Rwabogo laid a trap when she was unable to bear with her confessed lover, she arranged to meet Isiko somewhere in Kampala town where they had coffee, and the police officers had assigned the MP’s security guard. After the coffee and others, Isiko pulled out his identification card where his real names were. Later after a few minutes, the security guard arrested Isiko. 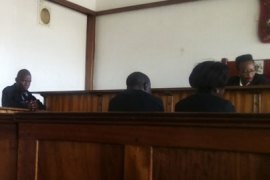 On Friday, July 6, Chief Magistrate Gladys Kamasanvu convicted Isiko on his own plea of guilty to counts of cyber harassment and offensive communication. Brian was handed 2years in Luzira prison for cyber harassment and nine months for offensive communication, these will all run concurrently. Ms. Sylvia Rwobwoongo the Woman MP of kabalore and a member of a ruling party National Resistance Movement (NRM) called upon all Ugandans to be vigilant at all times. “We cannot go on dying like animals. Vigilance is key “said Sylvia Rwobwoogo.